The decadent flavors of Shiraz coat your tongue. The buttery taste of Chardonnay lingers on your palate. The table is covered with rich, creamy cheeses to enjoy at your leisure. 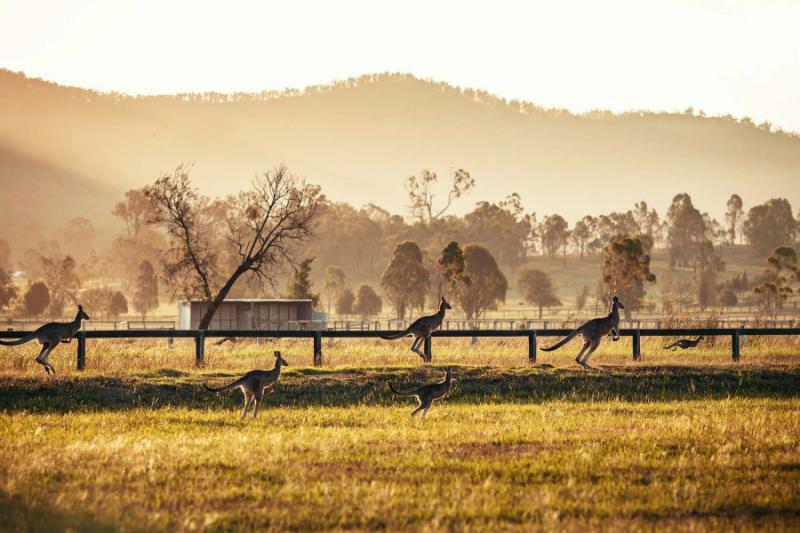 Whether a wine aficionado or just a social enthusiast, everyone will enjoy this tour through Australia’s southern cities and the luscious valleys that accompany them. 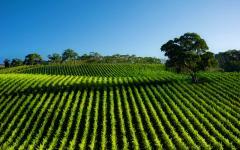 This Australia vacation combines the beauty and excitement of Australia with the delights of wine tasting. 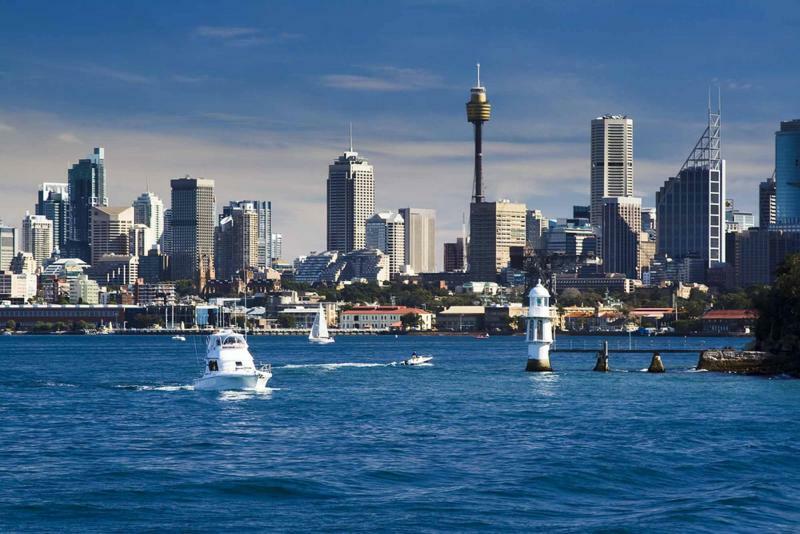 Arrive in Sydney and explore the city’s spectacular harbor. The Harbour Bridge marks the start of the city as the Opera House sits beautifully perched on its own. 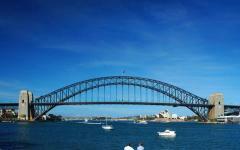 A tour of the Opera House and a cruise of the harbor settle you into the city and the Australian lifestyle. 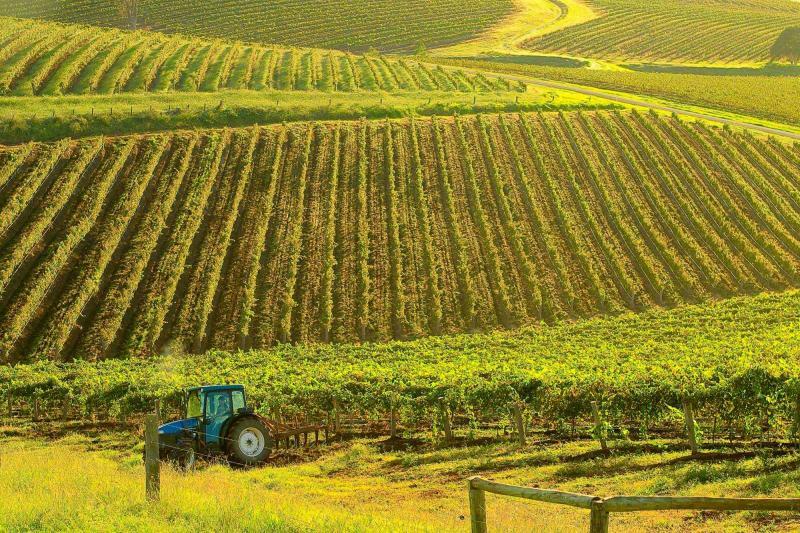 A tour of Hunter Valley offers the tastes and flare of the countries oldest wine region, along with the culture that it has created. 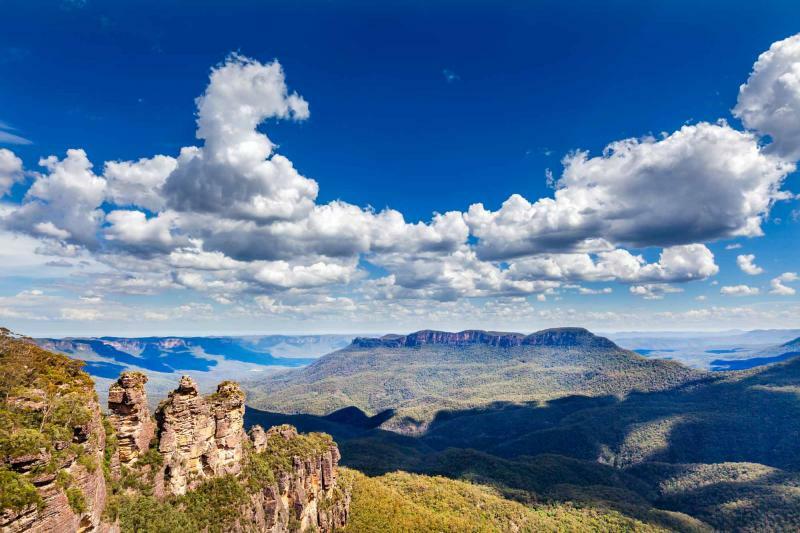 Touring through the Blue Mountains presents the natural Australia at its best, stunning and awe inspiring as the Jamison Valley’s awesome is before you. 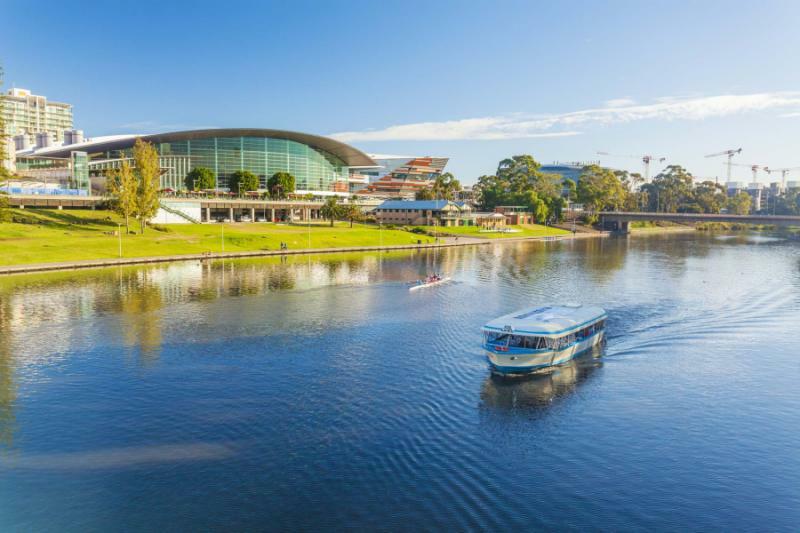 Your journey to Adelaide takes you through the reasons why Adelaide is a livable city that contains remarkable parks, festivals, and shopping. Touring the city shows you the brilliance of its seaside neighborhood, the eccentricities of the German town next-door, and the lush Barossa valley that provides the region’s unique and unparalleled wine. 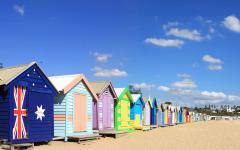 Continue to Melbourne where you will see the modern culture capital of Australia firsthand. A city full of wonderful quirks and stunning art, its surroundings are just as exceptional as the city itself. 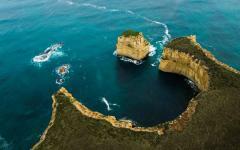 Driving along the Great Ocean Road offers the majesty of nature that comes with time. Sharp cliffs and wondrous rock formations drift past. 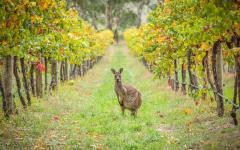 Touring the Yarra Valley gives you a rounded experience of Australia’s wines, from classic to unique, experimental to traditional, the Yarra Valley offers the best of all worlds. The exceptional tour through Australia and its finest vineyards encompasses all the possible wonders that the far off country can offer. Experience, see, taste, and enjoy. Fly over the lengths of the Pacific Ocean and begin to imagine the tastes of Australia that await you. The dreams of Australian adventure are about to come true. 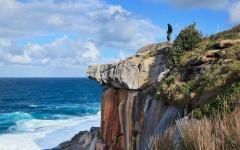 Cross the International Dateline and propel yourself closer to Australia. The time may change but the unique luxuries that await you in Australia remain the same. Arriving in Sydney brings the beautiful harbor into view. The Harbour Bridge encloses the bay like a guard with the beautiful, bright white sails of the Sydney Opera House gracefully lifting into the sky. After check-in you will visit the Sydney Opera House and experience its beauty on the outside and in. The Opera House is surrounded on three sides by the water ensconced in the salty scent of the sea. Walk around the esplanade and see how the roof of the Opera House stands out against the boat-like brick of the building itself. The Opera House is one of the most well known buildings in the world, and as the sails of the roof rise into the bright blue sky like clouds, it’s no wonder the building is so memorable. Once inside the Opera House you will gain access to the opulent beauty of this architectural wonder. The windows in the atrium offer a pristine view of the water as the bridge shines in the sunlight. The pleated walls in the main gallery open up to the room as the vaulted ceiling unfolds itself. The acoustics make a whisper reverberate around every seat. This Australian landmark is the perfect welcoming taste to your adventure. 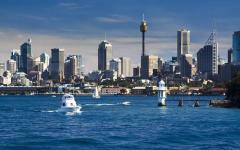 Today you get to experience Sydney from the sea with a wonderful Sydney Harbour cruise. Floating around Sydney Harbour gives you the refreshing sea breeze on your skin, and the incredible Sydney skyline decorated with the sails of the Opera House. The sun shines bright reflecting off the water. 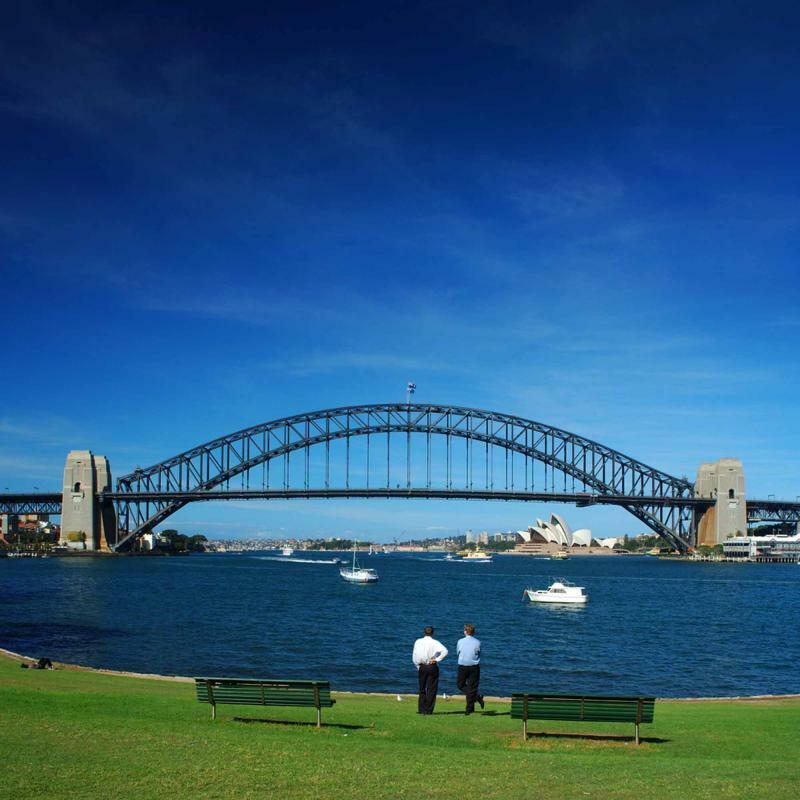 Cruise beneath the Harbour Bridge and enjoy the skeletal structure expand above you. The carousel music from Circular Quay fades into the distance. Once on land, learn about the history of Australia with a walking tour of the Rocks, one of Sydney’s premier shopping areas, but also the foundation of the city’s history. The stone facades of old factories line the walkways, however the entire area has been refurbished, filled with boutique shops, stunning restaurants, and outdoor markets. Where the air may have once been filled with the smoke and steam from the factories, now the smell of fresh macaroons and barbecue drifts through the streets. Locals and visitors both pour through the Rocks to browse through the art galleries and taste the local sweets. From the founding of Sydney to the founding of Altitude Restaurant, that has a tremendous view of the skyline and the harbor, the Rocks will show you the best of Sydney’s past and present. Leave your hotel in the morning and wind your way through the leafy Northern Suburbs of Sydney until reaching the Ku-ring-gai National Park. The water of the Hawkesbury River is clean and clear. The river is wide and snakes through the National Park for 75 miles and winds around mountains, carving through trees, and creating islands along cliffs. Visit the town of Broke, known for its boutique vineyards and for being the tranquil side of Hunters Valley. A visit to the Broke boutique vineyard Stomp! offers fresh, fruit-driven wines that contain the essence of Broke in every sip. 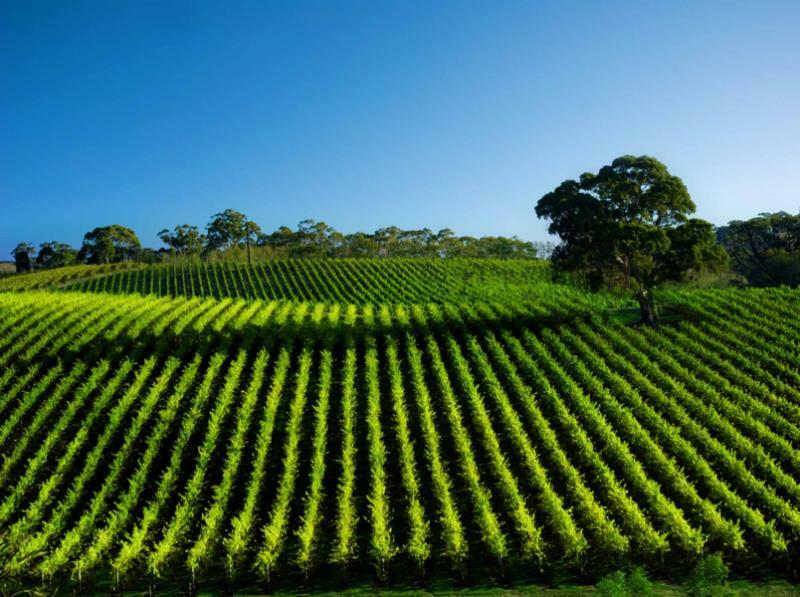 Once through the beautiful lush mountains of the Broke Back Range, relish the brilliant green sprawl of Hunter Valley’s vineyards. 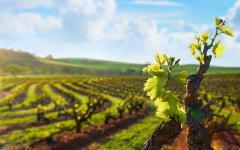 Known as the birthplace of Australian wine, Hunter Valley is rich with history and grapevines that have shaped Australia’s wine culture over more than a century. The Valley’s most well known wine is the Semillon. The white wine is produced only in the Valley and develops a unique blend of vanilla and honey flavors, giving it depth and richness. For a memorable tasting of Semillon, visit Brokenwood. 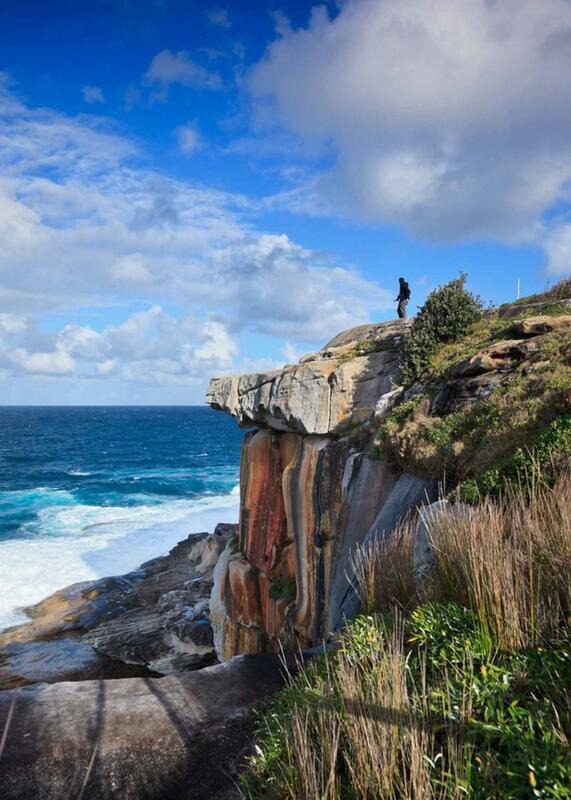 There is always more of Sydney to explore whether inside or outside of the city limits. Today you will traverse the wild of New South Wales in a four-wheel-drive vehicle. 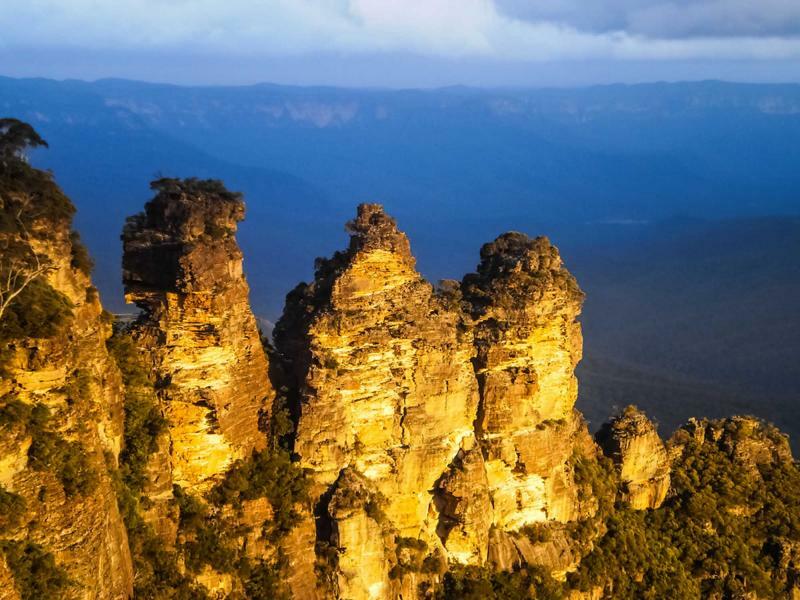 Experience the Blue Mountains in a way most people didn’t know was possible. 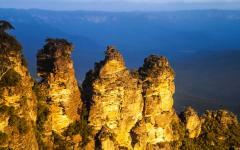 Begin the tour at the quaint village of Leura, known for its colorful Main Street and autumn foliage. 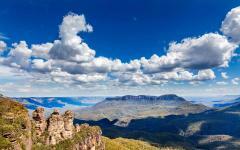 Hugging the steep cliffs you will be taken to Katoomba to see the incredible Jamison Valley. Known as Australia’s Grand Canyon, the colorful cliffs dive steeply into the forest filled valley below. The view from up high shows the expanse of the canyon as the valley and the cliffs stretch to the horizon. Stop for a lunch of delicious Australian wines with decadent cheeses enjoyed under the welcomed shade of the Blue Mountains’ lush canopy. Close by is an ancient Aboriginal site where you can examine rock formations and the art that decorates them. From frosty handprints to the Rainbow Serpent, the Aboriginal art contains an incredible amount of the region’s history and cultural symbolism. 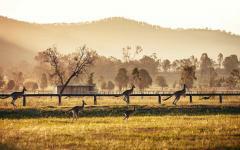 One last stop will take you to the hidden valley looking for the many kangaroos that graze in the wild. Whether hopping through the bush or lounging in the grass, seeing a wild kangaroo is a great way to end the wild ride of the day. Transfer from your hotel to the Sydney Airport where you will fly to lovely Adelaide, Australia. 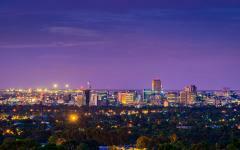 Known as the city of festivals, Adelaide is a charming, accessible city decorated with lavish gardens and lively shopping areas. 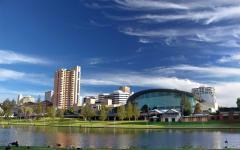 Take part in a tour of the city to see Adelaide at its best. The North Terrace Cultural Precinct is a plaza of beautiful brick buildings, including the South Australian Museum with its pillared façade. The gentle sound of running water fills the square from the long fountains that border the buildings. The tip of the church’s spire can be seen from the center of the square as crowds bustle through the area on their way to work, school, or into the museum. Later you will visit Hahndorf, a quintessential German town in the heart of Southern Australia. The town is reminiscent of a classic Munich filled with stone buildings, sloping roofs, and the happy sounds of polka. The smell of strudel fills the streets as you walk down the main road where horse-drawn carts pass you by. Taste the flavor of the town with local sweets like rock candy and warm strudel with vanilla cream on the side. 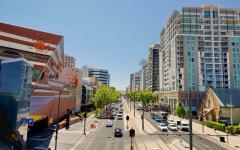 Return to Adelaide with a full view of what the city has to offer. 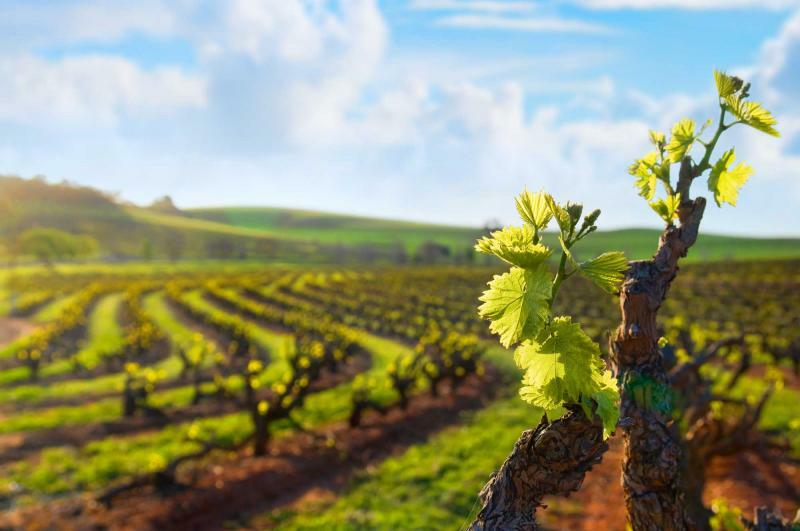 Be guided through the incredible vineyards of the Barossa Valley with an experienced tour guide that will have all the important and intriguing details of the vineyards you will visit. You will wind through the Chain of Ponds road that weaves through natural and manmade lakes on the outskirts of Adelaide. Watch for local wildlife like egrets and koalas as the rolling hills of the Barossa Valley come brightly into view. The valley’s vineyards will have you tasting the dark fruit of Shiraz wines, in the dark, cool cellars where maturation takes place. You will taste the chilled light- bodied cherry of a Delight Vin De Soif in the warmth of the sun, surrounded by the lush valley grass. You will also pay a visit to the Keg Factory where the tradition of keg and barrel manufacturing takes place. No matter the season or the preference, the flavors of the Barossa can make anyone’s day. 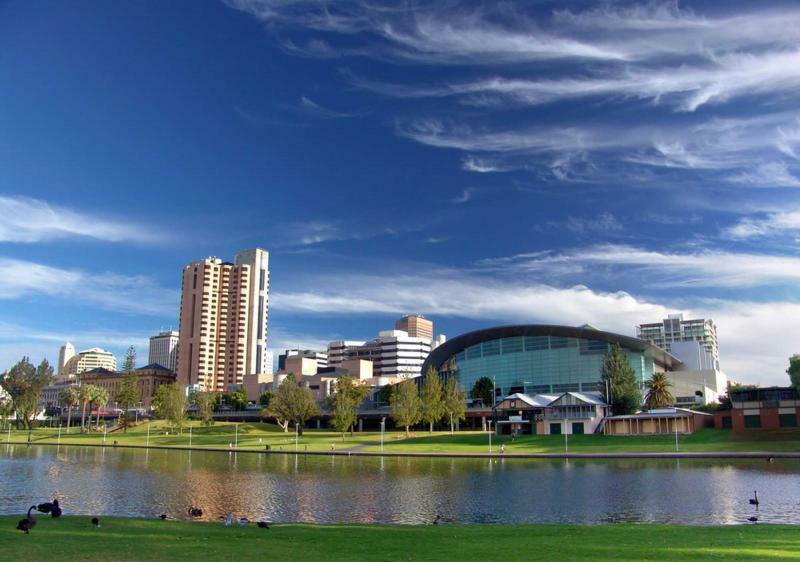 Spend the morning exploring Adelaide’s beautiful parks. Visit Himeji Gardens designed in the pristine style of a Japanese garden. Lily pads float over the tops of ponds and cover the water in rich green. Stone sculptures decorate the walkways and surround the pond. Tree branches lazily dangle over the cobblestones. 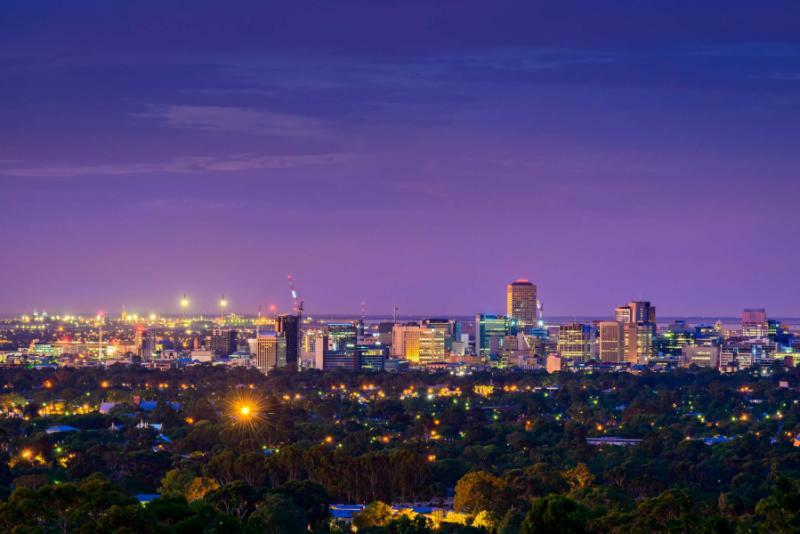 Your early afternoon flight will take you from Adelaide to Melbourne, Australia, where you will descend into the city as it lights up in the night sky. 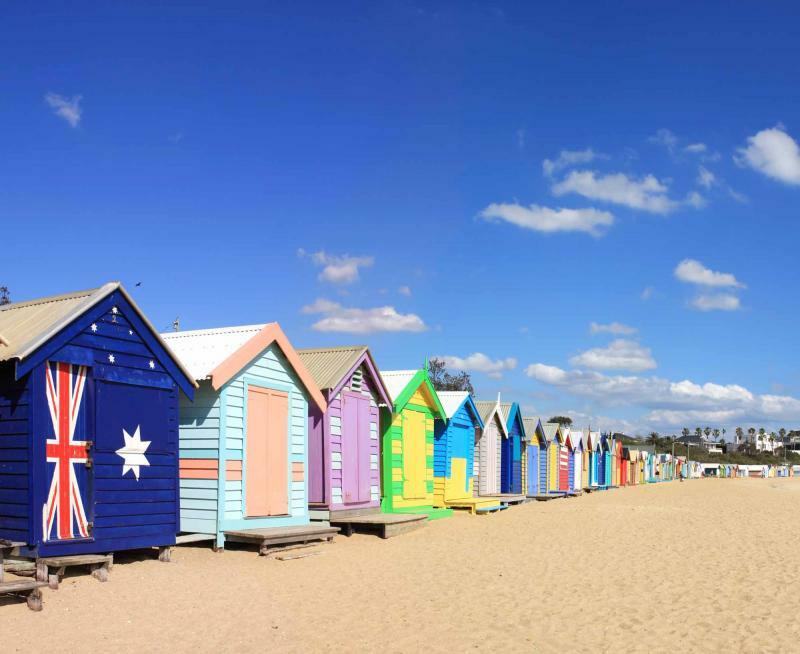 Known for its modernist cultural connection, Melbourne is a city full of streetcars and boasting art, fashion, music, and all around beauty. For dinner you will be taken on a unique tour of the city on the Colonial Tramcar. Once a regular streetcar, the Colonial Tramcar was retrofitted and refurbished to become one of Melbourne’s delightful dining attractions. The golden shades drape over the windows. The scarlet lampshades give an expressive dim to the interior. 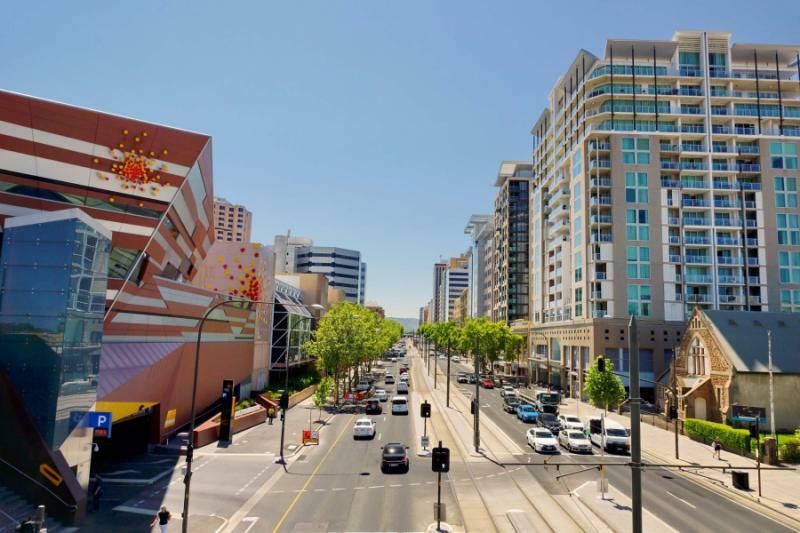 Explore the city from the scrumptious comforts of the tramcar, as you taste the sweet quince and rich cheeses that grace the table. There is no end to the wonders of Australia. 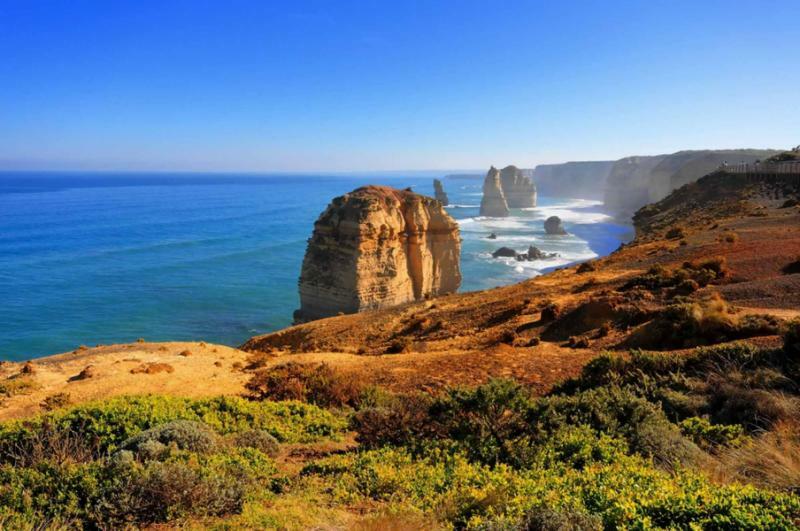 Travel along the vast expanse of the Great Ocean Road, one of the most beautiful drives in the world. 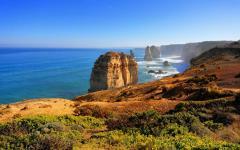 The road travels the coastline stretching through Victoria and to the border of South Australia, roaming ocean-side and hugging cliffs. The stunning bright blue water shines as bright as the sky as large slabs stand tall out of the sea, shaped by time and the tide. The sounds of crashing waves echo through the air. The pillars and cliffs change colors from gold to red as the sun drifts in the sky. Look out over Island Arch, one of the many wonders of the Great Ocean Road, where the rigid edges of rock have been polished and an archway has been carved in the center of the monolith, sitting alone and proud at the mouth of a small bay. The return drive to Melbourne is full of the lush farmland that fills Victoria. You will see sprawling hills in the distance, sheep grazing on the fresh grass, and the soft sound of the wind rolling through the meadows. 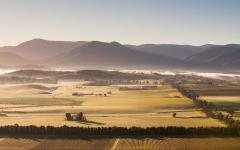 Today you will tour the delicious luxuries of the Yarra Valley wine region. The incredibly green area will have you wondering if you somehow left Australia and traveled to the South of France. The hills sprout up from the valley and silhouette into the horizon. Platypuses can be seen swimming in the lakes and burrowing on the shores. The wineries are full of eclectic flavors, some with eccentric owners that love the process and the outcome of what they do. The trees in autumn offer a barrage of purples, ambers and yellows as they fall from the branches to the valley floor. 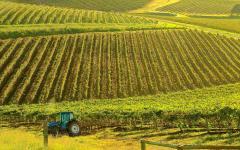 Acacia Ridge Winery sits in the valley flats, which gives its Pinot Gris a zesty citrus and honey flavor combination. While the Giant Steps Winery rolls up a small slope and gives its Pinot Noir a presence of minerals and crushed black spice. 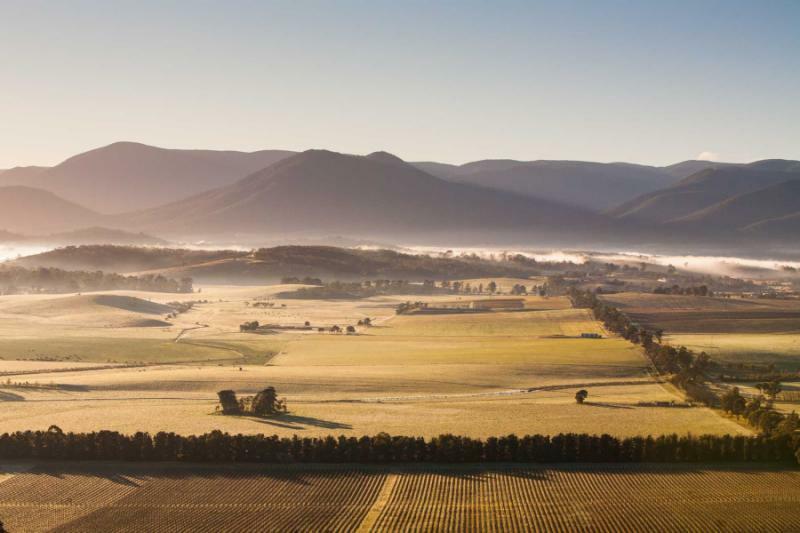 The decadent smells of minerals and succulent meats are carried by the breeze, the tastings of the Yarra Valley fulfilling the incredible flavors of Australia. With the tours of the valleys behind you, you will transfer to the Melbourne Airport and be flown back to where the journey began: home. 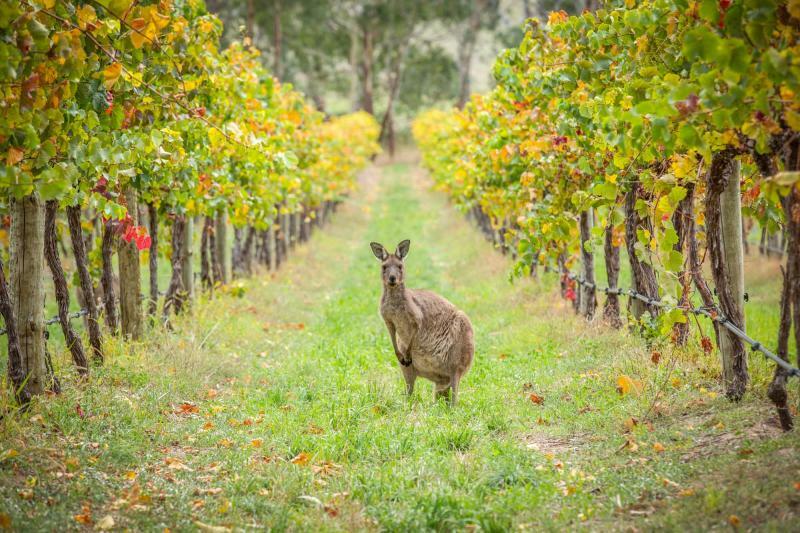 Although the tour of Australia’s vineyards is over, the flavors of your journey will linger on your tongue.